The United States yesterday confirmed its first case of the deadly Ebola virus, according to the Centre for Disease Control and Prevention. This marked the first appearance of the disease which has ravaged parts of the African continent over the last few months in the country. Officials of the Texas Health Presbyterian Hospital in Dallas, United States had earlier said in a statement on Monday, the 29th of September , that an unnamed patient was being tested for Ebola and had been placed in "strict isolation" due to presenting symptoms and recent travel history. In a news conference on Tuesday by the Director of the Center for Disease Prevention and Control, Thomas Freiden , the body stressed it's confidence to control the situation and keep the virus from spreading in the United States. It has been revealed that the infected man left Liberia on September 19 and arrived the U.S the next day to visit family members. Health officials are working to identify anyone who may have been exposed to the patient. A handful of people may in the coming days be monitored to see if symptoms of the deadly virus emerge, according to the Director. Until now, the only known cases of Ebola in the U.S. involved American doctors and aid workers who were infected and returned to the country for treatment. One of them, Richard Sacra, was discharged last weekfrom a Nebraska hospital. Days later, the National Institutes of Health in Bethesdaadmitted an American physician who was exposed to the Ebola virus in Sierra Leone. There were reports of possible Ebola patients in New York, California, New Mexico and Miami, but all of them tested negative for the virus. The unidentified person with Ebola is being treated in intensive care at Texas Health Presbyterian Hospital Dallas, according to Edward Goodman, the hospital's epidemiologist. People who traveled on the same plane as this man are not in danger because he had his temperature checked before the flight and was not symptomatic at the time, Frieden said. Ebola is only contagious if the person has symptoms, and can be spread through bodily fluids or infected animals but not through the air. "There is zero risk of transmission on the flight," Frieden said. Having taught biochemistry to medical students in the U.S and Nigeria for three decades, I have been fascinated by the many contrasts that differentiate the education and training these students receive in the two countries. One of the most glaring and interesting distinctions between undergraduate medical education in the U.S. and Nigeria has to do with the extent or lack thereof to which Nigerian and American medical students become engaged in biomedical research while they are in medical school. The percentage of medical students in the U.S. who are involved to a significant degree in research certainly varies considerably across the 140 or so allopathic and osteopathic schools of medicine. Nevertheless, regardless of whether research is a required or voluntary activity, at most U.S. medical schools at least one-third and as many as one hundred percent of the student body participates significantly in research of one sort or another, be it epidemiology/population-based or laboratory-centered. At the University of New Mexico School of Medicine, for example, even before the requirement that students do a research project was put in place about 12 years ago, 30-40% of the medical students elected to engage in research under the tutelage of a faculty research mentor in one of the clinical or basic science departments. In contrast, however, based on what I have observed first-hand from having taught medical students and done research at a number of teaching hospitals in different regions of Nigeria over the past 30 years, I cannot recall a single instance in which a Nigerian medical student ever involved himself or herself in a collaborative research project with a faculty member in any serious manner during the six years they were in training. Sierra Leone’s government has quarantined more than a million people in an attempt to bring an end to the spread of the deadlyEbola virus. Areas in the east of the country on the border of Guinea have been under quarantine for months but travel is now restricted in three more areas where an estimated 1.5 million people live. Nearly a third of the country’s population across 14 districts is now under curfew. The move comes as world leaders meet to discuss the crisis at the United Nations, and days after a three-day nationwide lockdown ended. In an address to the nation, Sierra Leone’s president, Ernest Bai Koroma, said the weekend’s lockdown had “met its objectives” but had also exposed the challenges posed by the Ebola crisis. In addition to announcing the new isolation districts, the government is establishing corridors for travel between non-quarantined districts, with a curfew on all travel outside the hours of 9am and 5pm. Koroma said the isolation would “definitely pose great difficulties for our people in these districts”. The British charity Street Child said there had been no warning given of the latest lockdown and said it was concerned that this would lead to mass starvation. “We were not prepare for the quarantine overnight. The areas being quarantined are really poor communities, most people live on 50p a day,” its country director, Kelfa Kargbo, told the Guardian. The northern districts of Port Loko and Bombali have been closed off indefinitely along with the southern district of Moyamba, effectively sealing in around 1.2 million people. The deadliest Ebola epidemic on record has infected more than 6,200 people in westAfrica and killed nearly half of them, according to the World Health Organisation’s latest figures. The virus is spread through bodily fluids and once symptomatic can kill within four or five days. Symptoms include rampant fever, severe muscle pain, vomiting, diarrhoea and, in some cases, internal and external bleeding through the eyes and mouth. World leaders are due to attend a meeting on Ebola convened by the UN secretary general, Ban Ki-moon, in New York later on Thursday, with Koroma and Liberia’s President Ellen Johnson Sirleaf connected by video link. The meeting, part of the UN general assembly, will hear from Barack Obama, and world leaders are expected to pledge help for attempts to contain the spread of the virus. Obama, who is sending 3,000 troops to west Africa to help health workers, urged other countries to get behind a broader international effort. In a speech to the general assembly, Obama grouped Ebola with the crisis in Ukraine and the threat posed by Islamic State in Iraq and Syria as new dangers to global security. Door-to-door searches during the three-day curfew in Sierra Leone identified more than 350 suspected new cases of Ebola, according by the top US diplomat in the country. Charge d’affairs Kathleen Fitzgibbon said teams of volunteers had also discovered 265 corpses, of which 216 had since been buried. In an email to emergency workers, she said one of the priorities was to ensure all bodies were buried correctly, as funerals have been identified as one of the ways the disease has spread, with relatives touching the bodies of the deceased. The US Centres for Disease Control estimated that the number of cases in Liberia and Sierra Leone could rise to 1.4 million by January, in a worst-case scenario based on data obtained before the world ramped up its response. Exactly 2 months ago, after Nigeria was hit by the news of a "mystery" Ebola virus disease patient , a naturalized American and Liberian Ministry of Finance official; Patrick Sawyer, who found his way into the country via the Murtala Mohammed International airport in Lagos to attend a meeting of the Economic Commission for West African States (ECOWAS) in the city of Calabar. 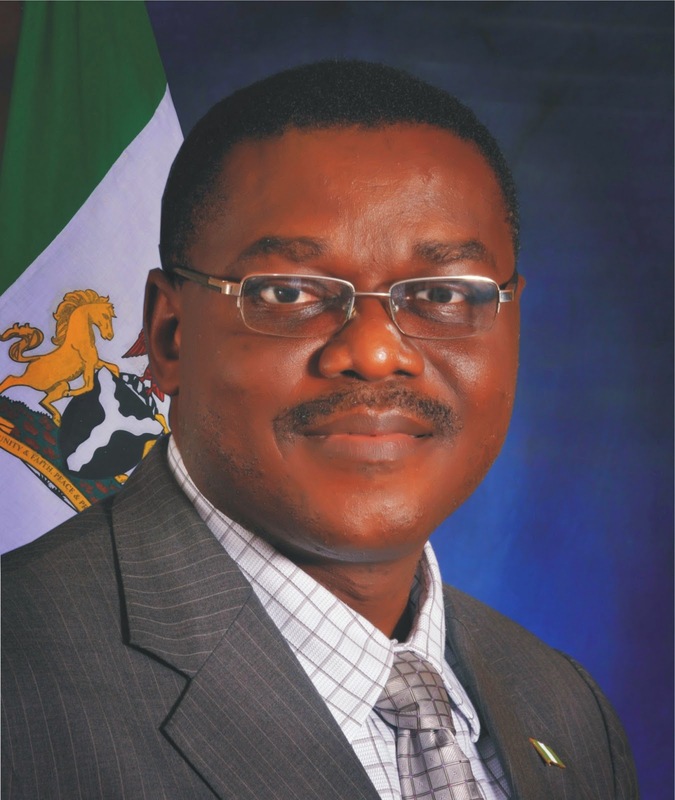 The Minister of Health, Dr. Onyebuchi Chukwu declared yesterday that there is presently no single case of the Ebola virus disease in the country. 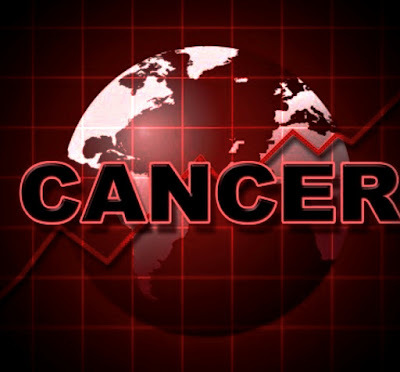 Stating that there are no cases of the disease under treatment nor any suspected cases. He added that there are no contacts under surveillance having being under observation for at least 21 days. About 400 contacts from the Southern part of the country in Rivers State, Port Harcourt had earlier being on medical surveillance, with 25 of them remaining as at Monday the 22nd of September and none showing symptoms, they were scheduled for discharge on the Tuesday. Indeed it appears the disease has being successfully contained in Lagos , a city of 21 million people and Prt Harcourt which has a population of 1.4 million people. Nigeria, which is the most populous black nation in the world , with about 177 million people suffered a total of 21 Ebola cases and 8 deaths, this is in contrast to Liberia with a population of 4.3 million and had suffered 1,459 deaths out of 2,710 reported cases as at last Friday. This is truly a remarkable achievement for a country plagued by relative insecurity and pervasive and chronic corruption. A rare signal that things can indeed go right in some parts of Africa. The Ebola survivors in Nigeria were not treated with any experimental drugs. Contact tracing and early identification of cases were managed by isolating patients and replacing fluids and electrolytes, while some were transfused. The Nigerian Health Minister was full of praises for the World Health Organization (WHO) Director General, Margaret Chan MD, who assisted the country by sending experienced physicians to the country to help manage the cases. Other organizations which helped in the fight against the deadly virus in the West African country include, UNICEF, CDC and MSF. Fight Against Ebola: Grossly Unfunded! The Ebola virus has already killed thousands in West Africa, an immeasurable loss for many families. As medical workers try to quell its spread, global organizations are calculating the economic impact of the disease. "Their economies are basically being devastated," said Daniel Epstein, a spokesperson for the World Health Organization. "Economic activity has halted in many areas there. The harvest isn't going on. People can't fly in and fly out." WHO workers even had difficulty flying into the Ebola-stricken nations of Liberia, Sierra Leone and Guinea, Epstein said. Over 2,600 people have died, according to the latest WHO count. If Ebola is not contained this year, the cost could increase by eight times its current estimate, according to a report published Wednesday by the World Bank Group. Ebola's toll in Liberia alone could affect almost 5% of the country's GDP this year, the World Bank said. "Our findings make clear that the sooner we get an adequate containment response and decrease the level of fear and uncertainty, the faster we can blunt Ebola's economic impact," said World Bank president Jim Yong Kim in a statement. In need of aid: The United Nations said this week that $1 billion in aid is needed to contain the Ebola outbreak. But a UN database tally of donations shows that many wealthy Western nations that verbally pledged support have donated paltry sums to fight the disease. Total donations, including non-binding pledges, to fight Ebola are about $388 million, well under half of the United Nation's estimate, according to data from Financial Tracking Service, a database that tracks humanitarian aid and is managed by the United Nations. 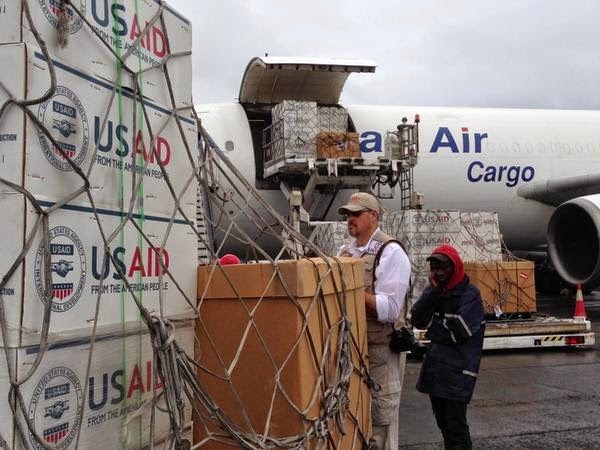 The Obama administration announced this week that it hopes to send an additional $500 million in humanitarian aid to the West African nations this fiscal year. Even with the U.S. government's significant aid proposal, the total number would still fall short of the United Nations' estimate of a billion. UN Secretary-General Ban Ki-moon went as far as saying "our best estimate is that we need a 20-fold increase in assistance" at a meeting this week. Some private foundations have also stepped in. The Bill and Melinda Gates Foundation has donated over $8 million so far to various organizations to fight Ebola. That is more than the combined donations of Canada, Germany and Spain, according to FTS data. 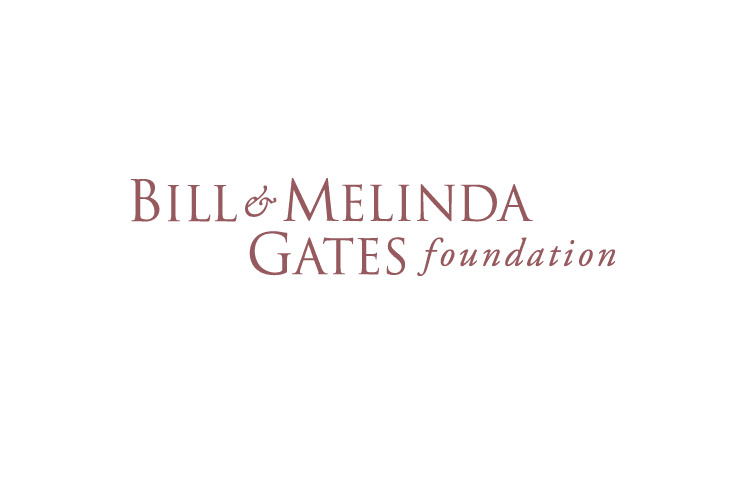 Overall, the Gates Foundation has pledged $38 million, which eclipses many more countries. Epstein noted that countries such as Canada contribute to the aid effort in non-monetary ways by sending aid workers and conducting medical research. "We're also at the stage where people are seeing what the landscape is and figuring out, what's the best way to donate funds?" Epstein said. "In a humanitarian crisis, there are often delays between what people realize what they have to do and what they actually do. Benjamin Carson was born in Detroit, Michigan. His mother Sonya had dropped out of school in the third grade, and married when she was only 13. When Benjamin Carson was only eight, his parents divorced, and Mrs. Carson was left to raise Benjamin and his older brother Curtis on her own. She worked at two, sometimes three, jobs at a time to provide for her boys. Benjamin and his brother fell farther and farther behind in school. In fifth grade, Carson was at the bottom of his class. 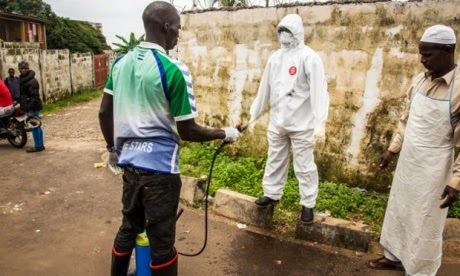 FREETOWN, Sierra Leone — One of the most stringent anti-Ebola measures to date began in Sierra Leone this morning as the country's government imposed a three-day national lockdown, ordering people off the streets and into their homes in an effort to stamp out the deadly disease. Police officers patrolled the streets of the densely populated capital, telling stragglers to go home and stay indoors. Volunteers in bright jerseys prepared to go house-to-house throughout the country to warn people about Ebola’s dangers and to root out those who might be infected but were staying in hiding. The normally busy streets of Freetown were empty Friday morning, stores were closed and pedestrians were rare on the main thoroughfares. The country’s president, justifying the extraordinary move in a radio address Thursday night, suggested that Sierra Leone was engaged in a life-or-death struggle with the disease. Some of the things we are asking you to do are difficult, but life is better than these difficulties,” President Ernest Bai Koroma said. More than 200 new cases of Ebola have been reported in Sierra Leone in the past week, according to the World Health Organization, with transmission described as particularly high in the capital; nearly 40 percent of cases in the country were identified in the three weeks preceding Sept. 14; and more than 560 people have died in Sierra Leone, about one-fifth of the total from this outbreak. The campaign that began here Friday morning reflected the desperation of West African governments — and in particular those of the three hardest-hit countries, Guinea, Liberia and Sierra Leone — as they struggle with an epidemic that the health authorities have warned is showing no signs of slowing down. No country has attempted anything on the scale of what is being tried in Sierra Leone, where more than 20,000 volunteers enlisted to help identify households where the authorities suspect people infected with the Ebola virus are hiding. Matching into a desired residency program in the United States is the dream of every International medical graduate (IMG) who has devoted "unquantifiable" effort towards achieving the status of ECFMG certification (successfully passing the USMLE Step 1, 2Ck and 2CS examinations). After applying for the residency matching via ERAS , the next step is attending interviews. While a successful interview can make the difference in your obtaining that prestigious residency slot, skillfully fielding all the interviewer’s questions can prove to be a difficult task. Program directors can ask difficult questions; it’s your responsibility to come to the interview with all of your answers –even to the stickiest questions! –at the ready. To help you navigate these tricky waters, we’ve prepared a list of some of the more challenging questions that an interviewer may pose –along with IMGPrep’s recommended responses. 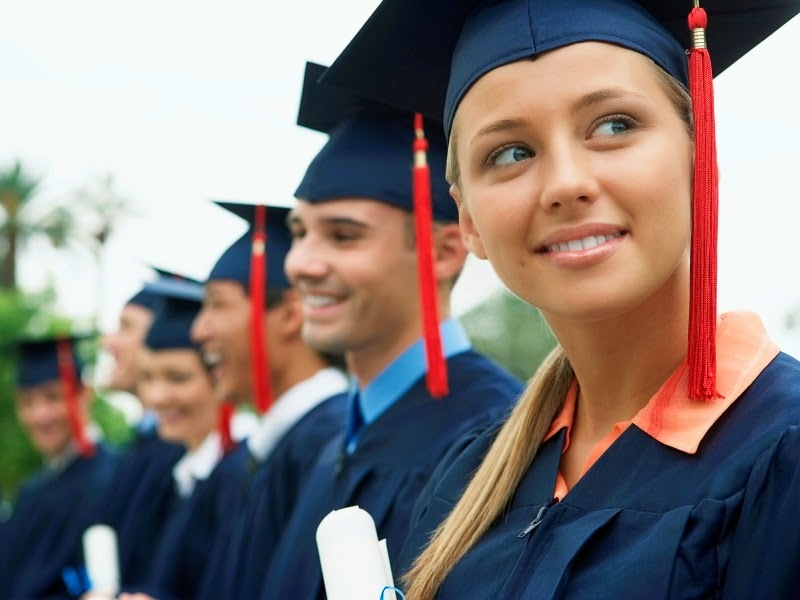 We hope that these tips help you obtain the residency of your dreams! Almost 70% of adult smokers say they want to quit; the most common reason given is concern about their health. The concern is well justified. The four leading causes of death in the U.S. -- cardiovascular disease, stroke, cancer, and lung disease -- are all strongly linked to cigarette smoke exposure. One out of every five deaths in the U.S. can be attributed to smoking. The dangers get worse with age. People still smoking in their 40s and 50s face a risk of death over the next 10 years three to four times greater than a nonsmoker's. But gaining extra years are not the only reward for quitting. Other benefits begin immediately, according to the American Cancer Society, and they just keep coming. 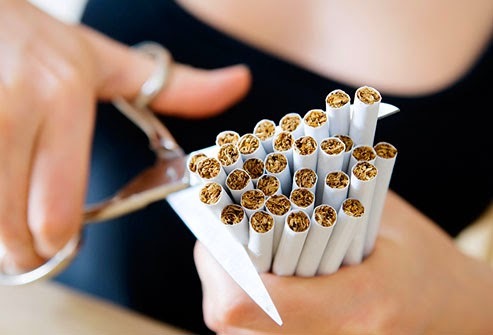 Within 20 minutes of snuffing out your last cigarette, your blood pressure and heart rate decline. Within 12 hours, the level of poisonous carbon monoxide in your body from cigarettes has returned to normal. Over the next few months, your lungs will regain their ability to remove pollutants efficiently, thereby reducing your risk of infection. Your ability to taste and smell will improve, and that chronic sinus congestion should disappear. You may cough more, but that shouldn't be a concern because it means you're clearing the gunk out of your lungs and opening your airways," says Edelman. "In a few weeks you should begin to notice an increase in your exercise tolerance." Michael K. Cummings, PhD, has spent 20 years studying the harmful effects of tobacco. He calls quitting "the extreme makeover." "If you quit smoking early enough, by 30 or so, your risk of dying prematurely becomes almost the same as someone who never smoked," says Cummings, chairman of the Roswell Park Cancer Institute's department of health behavior in Buffalo, N.Y. "If you wait another decade, the benefits are about half of what they would have been. If you quit [then] you add eight to 10 years to your life." Though everyone knows cigarettes promote cardiovascular disease and lung ailments, it's less understood that they promote an array of other ailments, says Cummings. Peripheral vascular disease, for example, which constricts blood flow to the hands, feet, and other organs, is accelerated by cigarette smoke. "I've heard of it occurring in people in their 30s," Cummings tells WebMD. "The best treatment for it is, don't smoke." Smoking, he adds, can also lead to macular degeneration, the No. 1 cause of blindness among older people. It also promotes gum disease. Quitting brings psychological benefits as well, according to Cummings. "Most smokers regret their decision to start smoking," he says. "When they quit, they gain a sense of control, a sense of empowerment." Ebola virus cases in West Africa are rising faster than the ability to contain them, the World Health Organization says, as experts warn that the exponential rise could become a worldwide disaster. The death toll has risen to more than 2,400 people out of 4,784 cases, WHO director general Margaret Chan told reporters at the UN health agency’s headquarters in in Geneva on Friday, noting the figures could be an underestimate. In the three hardest hit countries, Guinea, Liberia and Sierra Leone, the number of new patients is moving far faster than the capacity to manage them. We need to surge at least three to four times to catch up with the outbreaks," Chan said. She called for urgent international support in the form of doctors, nurses, medical supplies and aid to the worst-affected countries. Health-care workers have been infected with Ebola while treating patients in West Africa. Almost half of the 301 health-care workers who have developed the disease have died. Chan welcomed Cuba's announcement that it will send 165 health-workers to fight the outbreak , but added that at least 500 doctors from abroad are needed. An infectious disease expert warned in Friday’s New York Times that "the Ebola epidemic in West Africa has the potential to alter history as much as any plague has ever done." Michael Osterholm is the director of the Center for go backrian aid from countries and non-governmental groups. Disease Research and Policy at the University of Minnesota. Ebola spreads through direct contact with bodily fluids, but Osterholm raised a possibility that he said virologists are loath to discuss openly but consider behind closed doors: the prospect that the Ebola virus could mutate to become transmissible through the air. Osterholm cites a 2012 study by researchers at the National Microbiology Laboratory in Winnipeg that showed the Ebola Zaire strain behind West Africa’s outbreak could spread by the respiratory route between pigs and monkeys. The key to containing the outbreak, Osterholm stressed, is to beef up efforts to stop the spread of the virus. 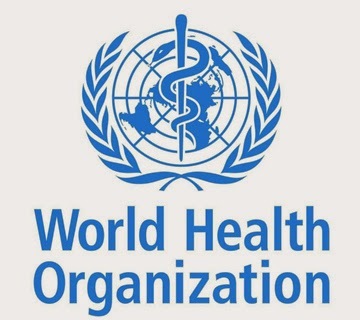 To that end, he suggested that the United Nations take over the position of "command and control" to direct the efforts of medical, public health and humanitarian aid from countries and non-governmental groups. You are interested in and passionate about protecting and improving the health and wellbeing of people and communities. You want to prevent problems from happening or recurring by recommending policy, conducting research or implementing programs, and you are looking for the knowledge and skills sets that will enable you to do this. So, you have decided to pursue a graduate degree in public health. Through this overview of some important aspects of Master of Public Health (MPH) programs in the United States and advice based on my experience applying to these programs, you will be able to make better informed decisions and have an efficient and effective application process. 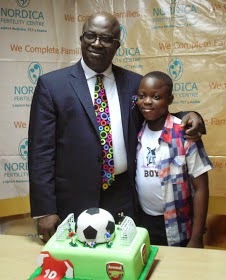 One of Nigeria's Leading Fertility Clinics, who specialize in assisted reproductive services, including In-vitro Fertilization (IVF) , Nordica Fertility Centre , yesterday the 10th of September 2014 celebrated the 10th Birthday of her first IVF baby, a boy, Julian. Julian's parents were said to have walked into the Fertility Centre on the 11th of October 2003 and following a single treatment cycle, four months later were greeted with the news of the mother being pregnant with a male child. The Centre first opened on the 14th of April, 2003 at Victoria Garden City, Lekki Lagos. But later moved to the Ikoyi area of Lagos in a bid to be closer to their clients and a desire to expand. They have since followed with a branch in the Mainland area of Lagos which was opened in 2003 as well as a Clinic in Asaba, Delta State, in the Southern part of the country five years ago. The Center in Sapporo, Abuja, the capital of Nigeria was commissioned in November 2012. 2. The first and probably the only IVF centre to use/using IMSI to solve male related infertility issues. 3. The first IVF Clinic in Nigeria to start Oocyte cryopreservation, otherwise known as Egg freezing. 4. The first solely dedicated IVF centre in Abuja. The statement also said that whilst they had achieved monumental growth in the number of babies conceived, The centre had equally not neglected it's corporate social responsibility. Working in conjunction with the Fertility Treatment Support Foundation (FTSF), free fertility treatments have been made available to over 30 couples with diverse infertility challenges. "We also work with the ESGN (Endometriosis Support Group Nigeria) the only Foundation supporting this cause in West Africa" it said . The lack of information about fertility options coupled with the stigmatisation associated with childlessness has contributed to the reason why a lot of people do not explore the possibility of assisted conception. This should not be seen as a taboo but seen as a means to an end. The center continues to strive to Keep Hopes alive by "Completing Families". The Bill and Melinda Gates Foundation announced Wednesday it will donate $50 million to help fight the Ebola outbreak in West Africa. More than 2,200 people have died in Guinea, Liberia and Sierra Leone, where the outbreak has been concentrated. Cases have also been reported in nearby Nigeria and Senegal. The foundation says the money will be used to enable international aid organizations and national governments "to purchase badly needed supplies and scale up emergency operations in affected countries." It will also "work with public and private sector partners to accelerate the development of therapies, vaccines, and diagnostics that could be effective in treating patients and preventing further transmission of the disease." The first human trial of an experimental Ebola vaccine began last week at the National Institutes of Health. This is considered the deadliest Ebola outbreak in history. The World Health Organization said Monday the rapid spread of the virus in Liberia shows no sign of slowing. "The number of new cases is increasing exponentially," WHO said, calling the situation a "dire emergency with ... unprecedented dimensions of human suffering." Taxis packed with families who fear they've contracted the deadly virus criss-cross the Liberian capital, searching for a place where they can be treated, WHO said. But there are no available beds. "As soon as a new Ebola treatment facility is opened, it immediately fills to overflowing with patients," the U.N. group said. To help ease some of the burden on West Africa's already over-taxed medical system, the United States announced Tuesday it will send $10 million in additional funds. That's in addition to the $100 million Washington has already sent to help fight the outbreak. USAID also announced it will make $75 million in extra funds available. WASHINGTON -- The world was taken by surprise by the West Africa Ebola outbreak and has been scrambling ever since to catch up, with many setbacks and only a few bright spots in the picture, international experts said at the Interscience Conference on Antimicrobial Agents and Chemotherapy (ICAAC). 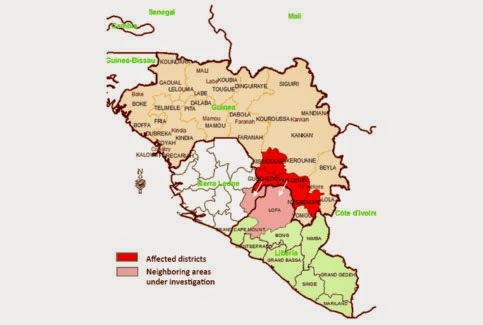 The Centre for Disease Control (CDC)'s initial response was based on years of experience with Ebola, according to Barbara Knust, DVM, of the agency's National Center for Emerging and Zoonotic Infectious Diseases. 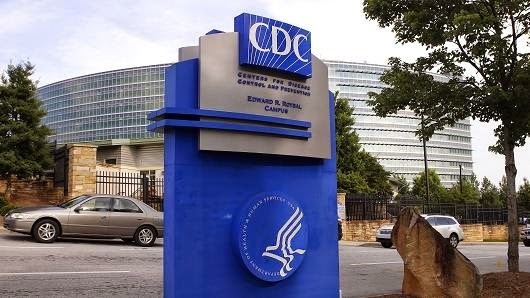 In March, the agency dispatched 20 staff to do what the CDC has often done before -- help control an Ebola outbreak with such things as data management, contact tracing, and epidemiology, she told reporters. It seemed to work, and in May the agency pulled its staff back, satisfied -- as was the World Health Organization (WHO) -- that the worst would soon be over. But in the following months it became clear that a "perfect storm" of factors was at work, combining to push what had been a localized outbreak into a widespread and deadly epidemic, she said. Those factors included a very mobile community that was sometimes angrily opposed to the outbreak control measures -- adequate infection control and safe burial practices, for instance -- that had always worked in the past. The result was an outbreak that has grown so swiftly that "those measures still need to be put fully into effect," she said. 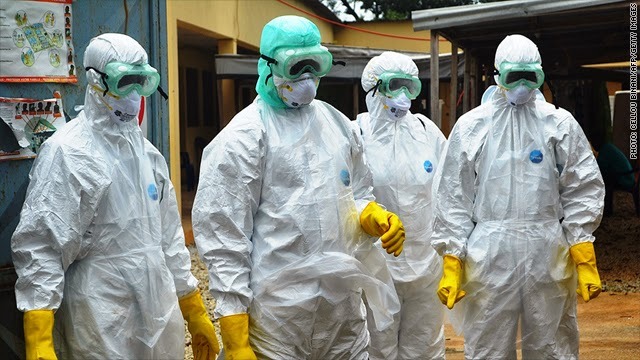 Currently, the CDC has some 90 people on the ground in the affected countries -- Guinea, Liberia, Sierra Leone, and Nigeria -- and is planning to send teams to nearby nations to help them get ready in case of further spread. Knust was among three speakers added to the ICAAC program at the last minute to fill in the Ebola picture. The others were Aneesh Mehta, MD, of Emory University School of Medicine in Atlanta and Gary Kobinger, PhD, of Canada's National Microbiology Lab in Winnipeg, Manitoba. Mehta was part of the 100-strong medical team that cared for two American medical missionaries who came down with the virus and were airlifted to Atlanta for treatment. Both recovered and Mehta said he and colleagues gleaned some "clinical pearls" from their experience that might help future patients including those in West Africa. Among them, he told MedPage Today, was the ability to swiftly correct specific electrolytes, to switch intravenous fluids quickly to match changing patient needs, and to give high-quality liquid nutrition to help repair the immune system. "One of the things that we learned was the power of close monitoring and high-level nursing care," he added, something that both patients commented was absent in the African setting. Although the caregivers initially had no idea what to expect, the two patients were very similar to other seriously ill people, Mehta said, and responded to similar interventions. 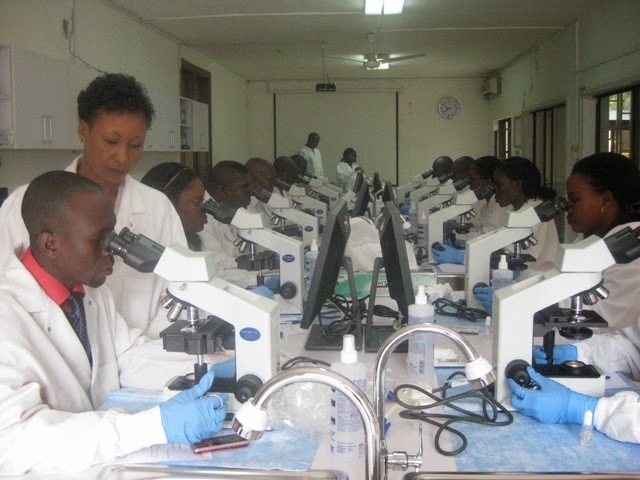 One advantage the American team had was daily on-site lab work which is not available to African doctors. But he said the American team also used point-of-care devices to monitor blood chemistry, which could also be used in the African setting. The epidemic has now caused more than 3,700 cases and almost 1,850 deaths, according to WHO, and the treatment for Ebola is some form of the supportive care that Mehta discussed. But several vaccines and therapeutics are in the pipeline and might be ready in time to have some impact on the epidemic, Kobinger said. In particular, it's just possible that the two vaccines now entering phase I safety trials will pass that hurdle in time to be of some help. But the process of getting such drugs into the clinic in a hurry is not an easy one, he said. "It's easy to say let's do a clinical trial, but it's very complex, especially in the current situation where the focus is really on the outbreak response," he said. On the other hand, if the vaccines are shown to be safe and effective, they could assist the public health response by persuading more healthcare workers to take part, Kobinger stated. "If you could just protect them, you would have a tremendous impact on the response," he said, "because more people would go." In the long run, the availability of drugs and vaccines might change the face of Ebola. "I'm hoping this will be the last large outbreak," he said.